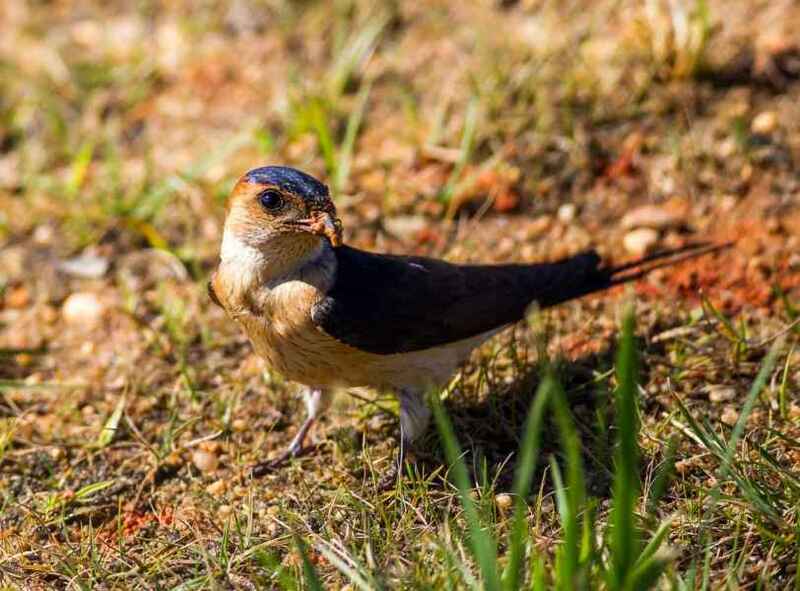 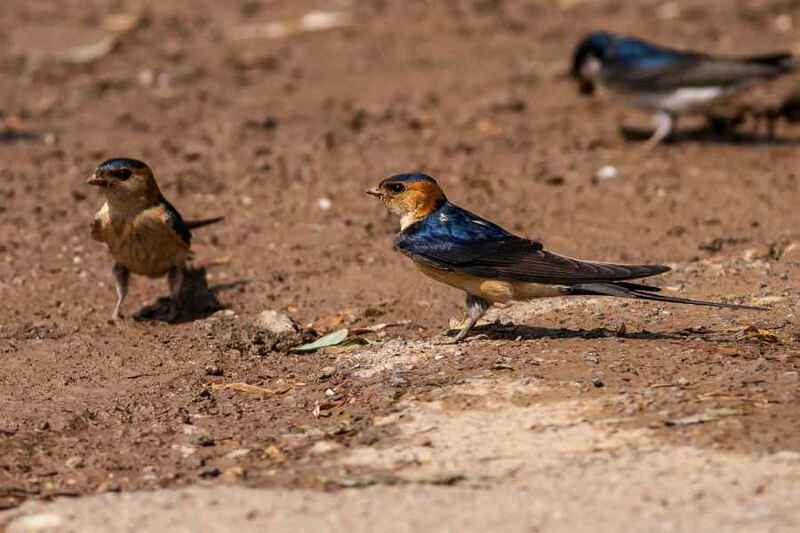 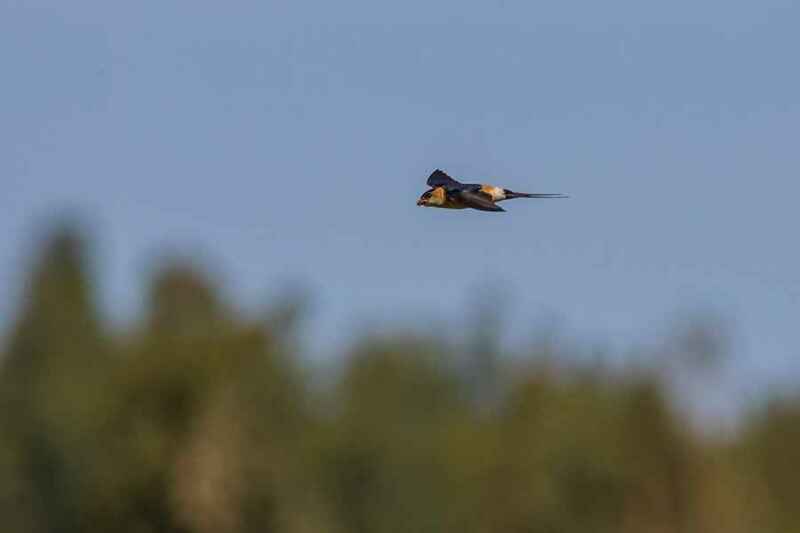 Slightly larger than Barn Swallows, Red-rumps have a lazier, more floaty flight. 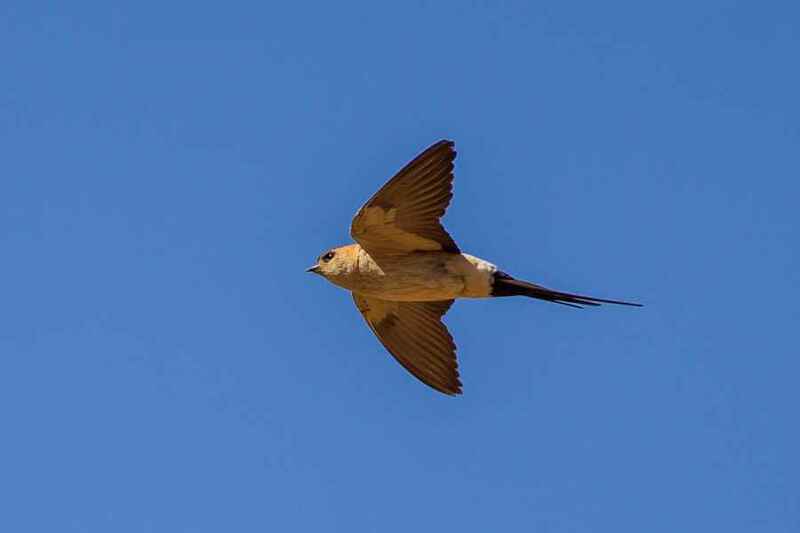 They arrive well after their cousins and the nesting site is not so reliant upon Man's proximity, though they do use man-made structures such as bridges and drainage culverts, to the roofs of which they stick their closed, tunnel-entrance mud nest. 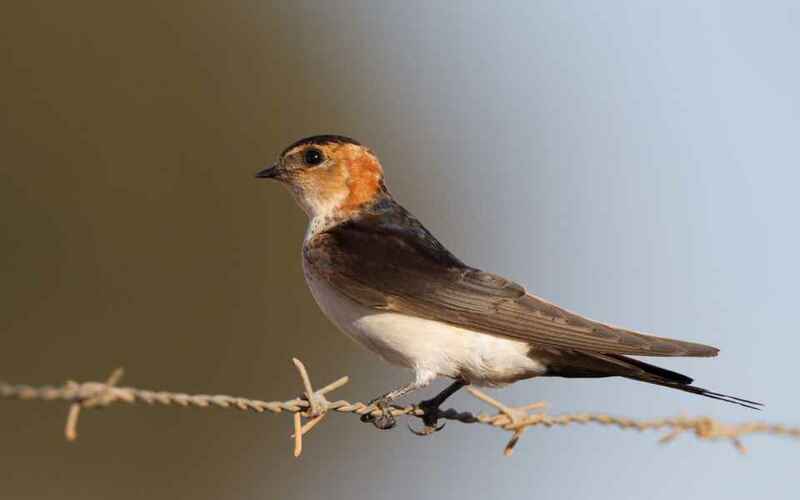 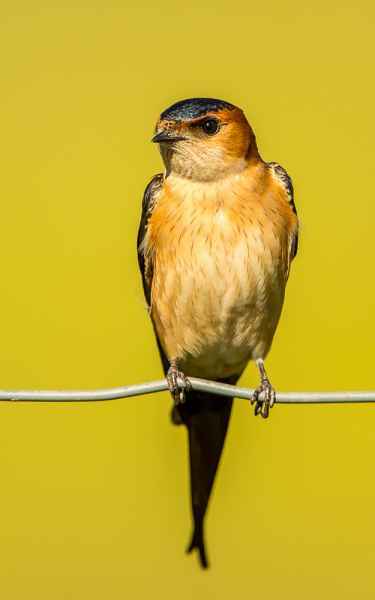 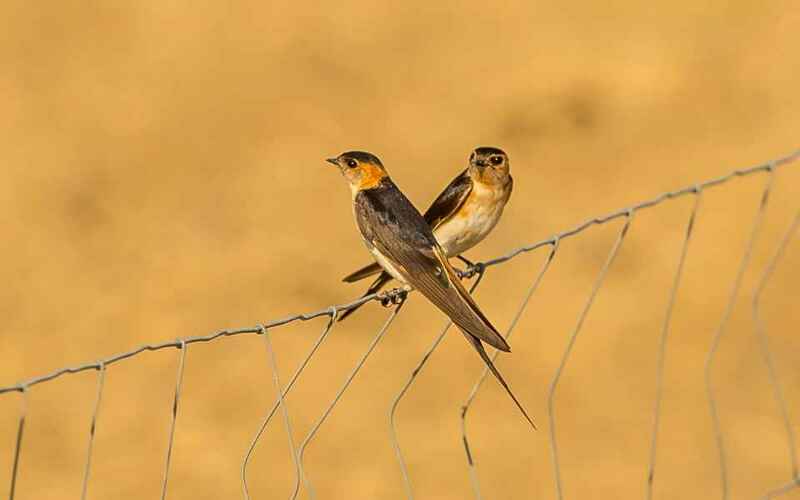 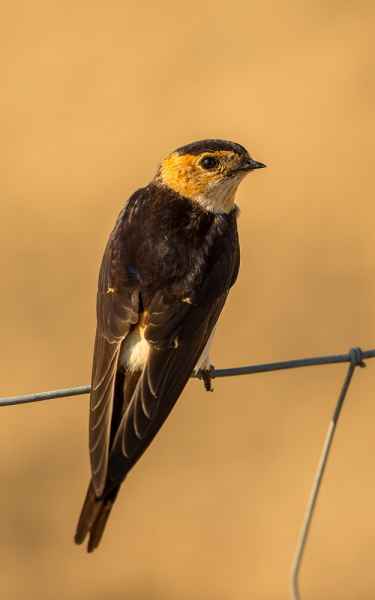 With a pale, faintly streaked breast, a rufous nape and a pale rump with rusty tinge, it is difficult to mistake them for a Barn Swallow, but the best diagnostic difference is the absence of a dark chin-strap. 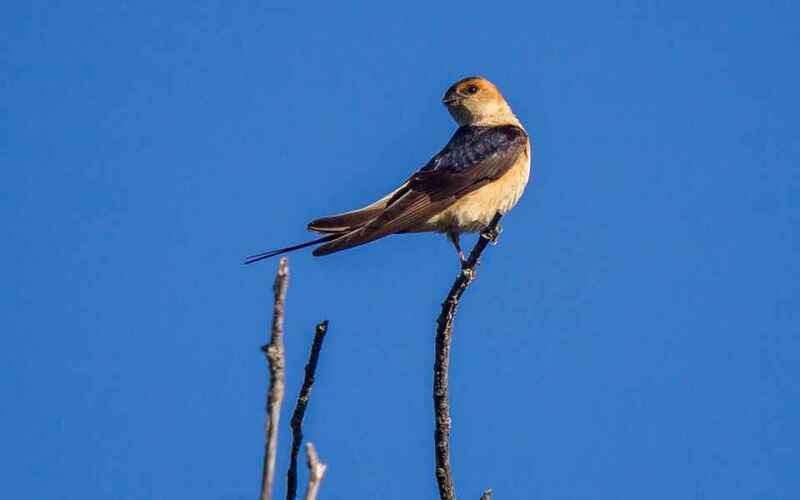 The rump becomes redder with age.